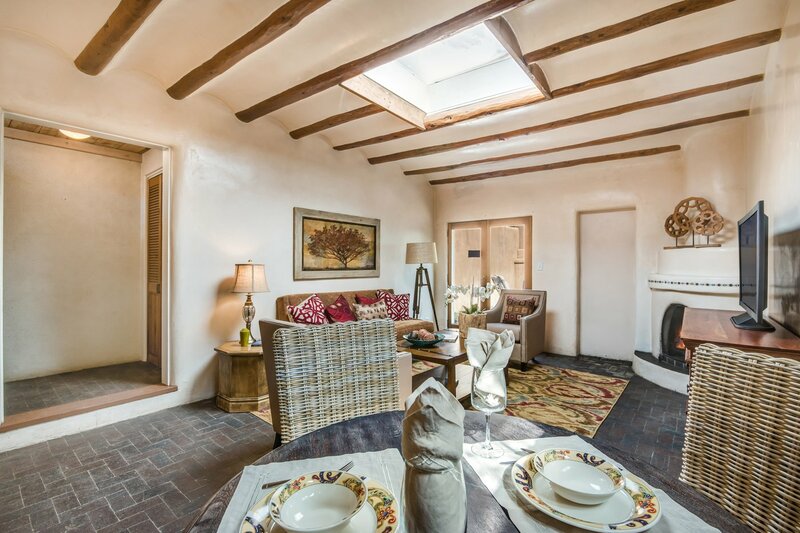 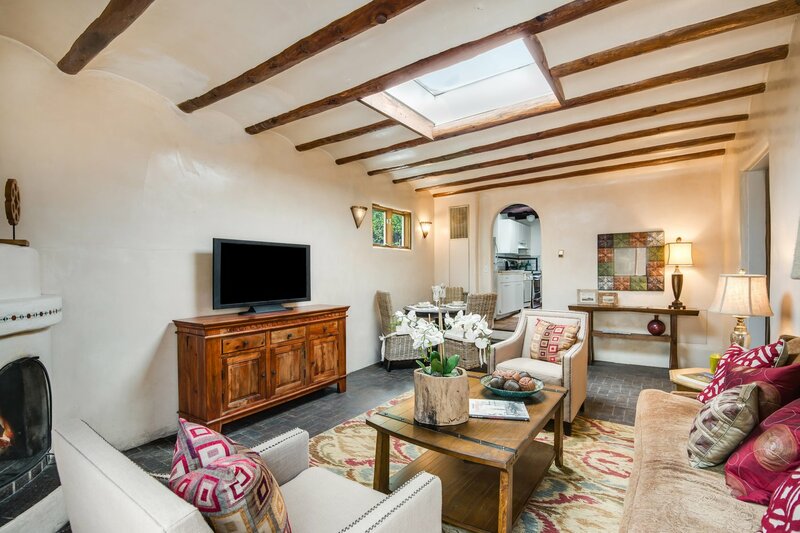 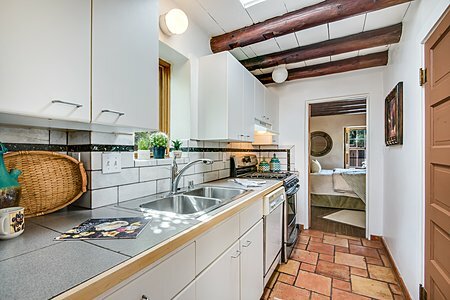 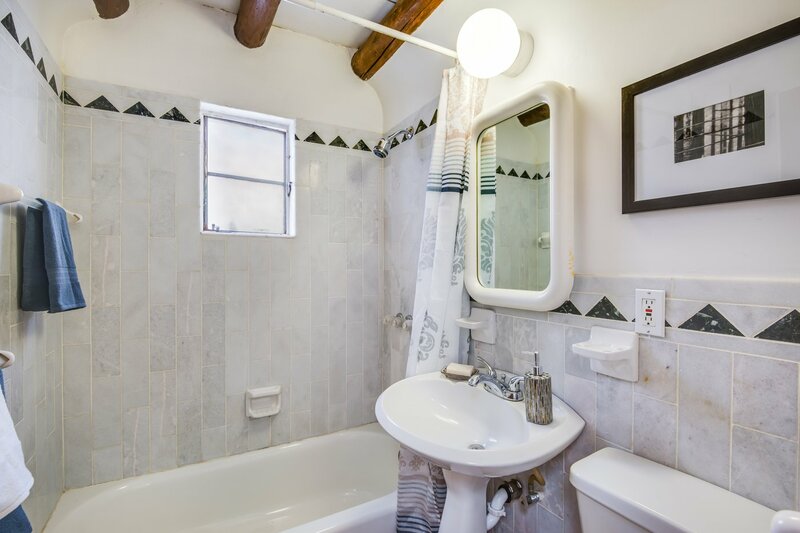 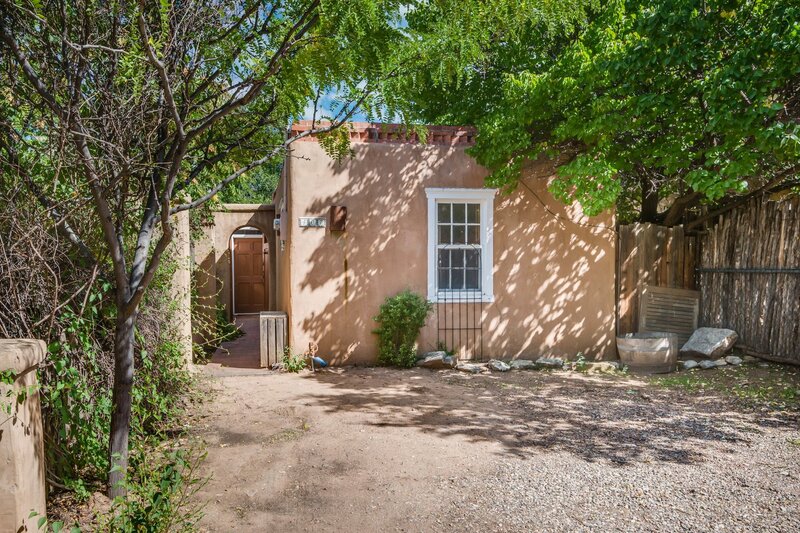 Charming Eastside pied-a-terre sanctuary on Arroyo Tenorio close to Downtown Subscription (coffee house) and Kaune's (market) with brick, wood, and tile floors, high ceilings with vigas, skylight(s), and a cozy living room with a kiva fireplace. 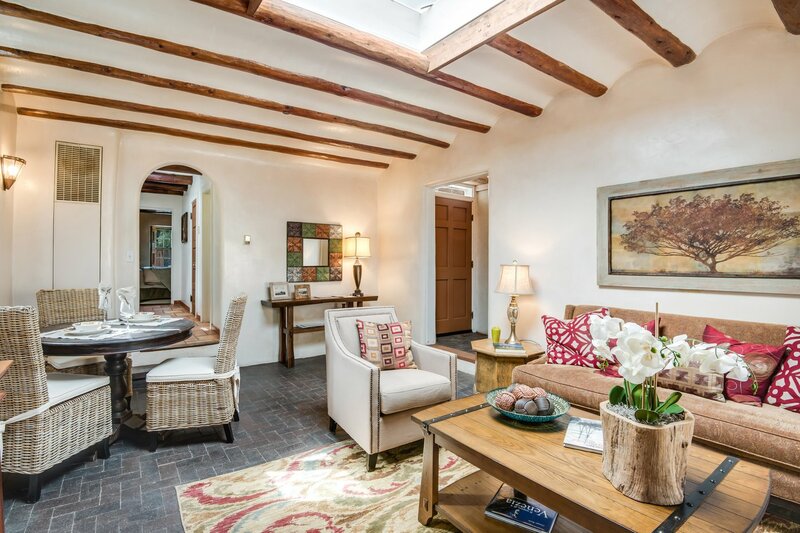 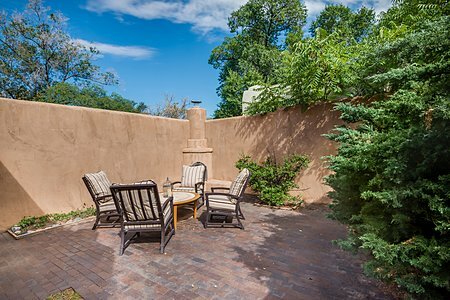 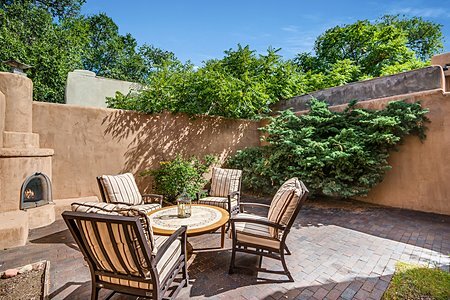 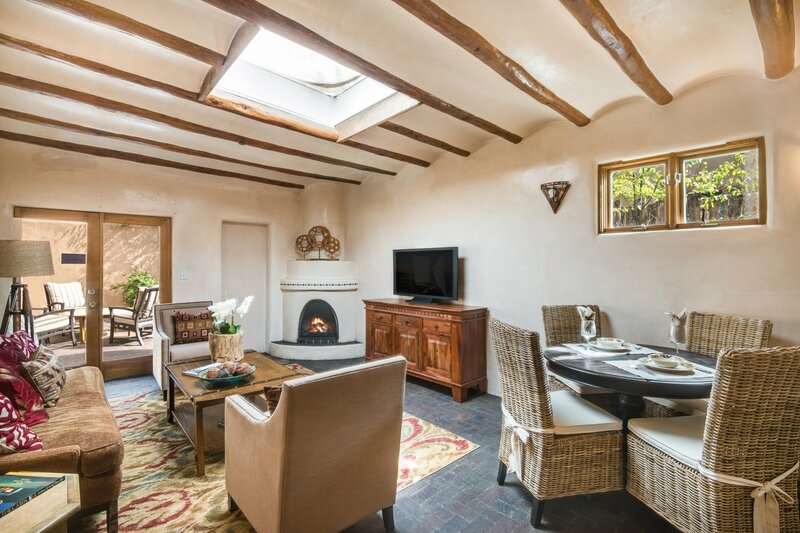 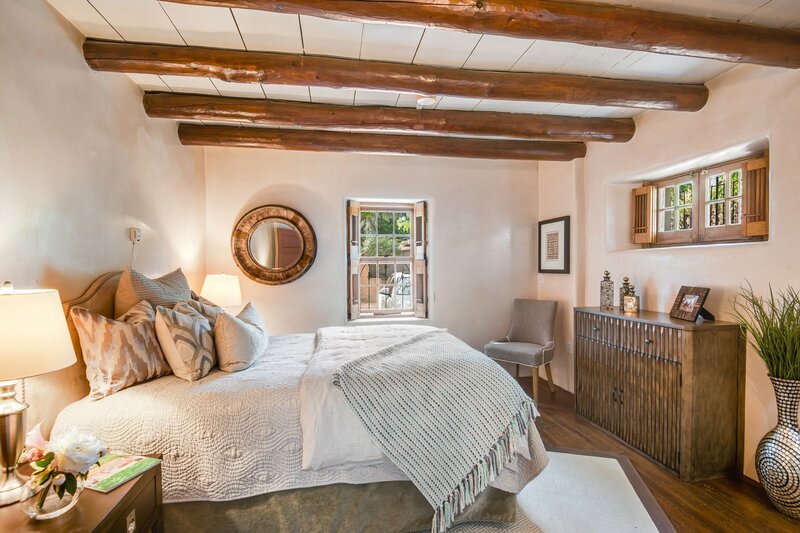 The back high-walled courtyard is very spacious and totally private and features an outdoor wood-burning kiva fireplace and attached storage shed. 2 off-street parking spaces complete this special offering.